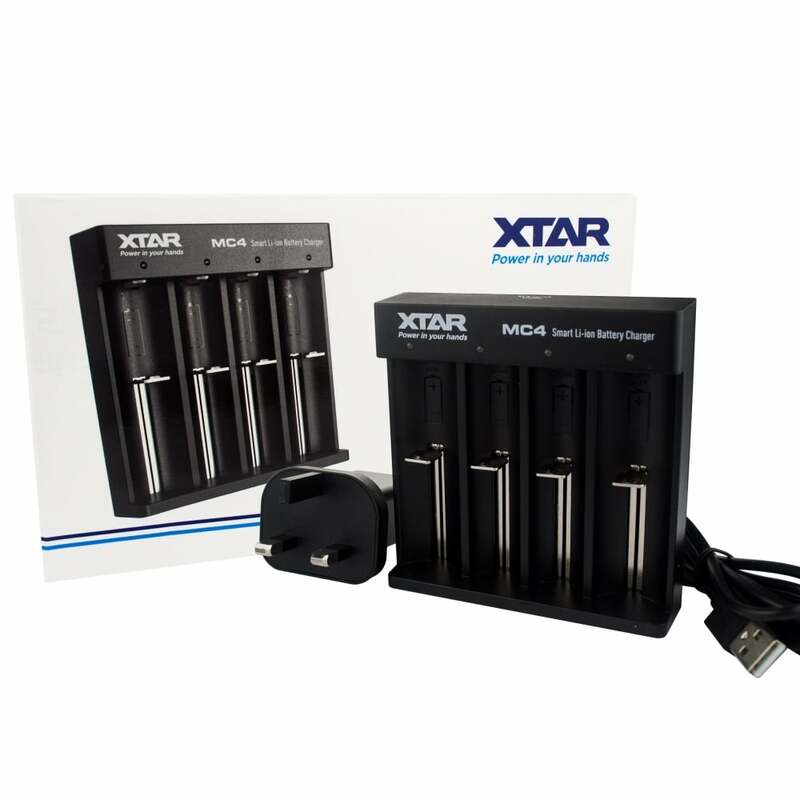 The Xtar MC4 is a smart and portable four-bay battery charger suitable for recharging your 18650 and 18350 batteries. With its Micro USB charging port, the MC4 lets you charge your batteries anywhere: it’s compatible with all 5V USB power sources including wall adaptors, the USB ports on your PC and power banks. It even comes packaged with a UK plug adaptor! The MC4 features intelligent charging current; you can charge either two or four batteries at a time, and the current will adapt accordingly (2 x 1A when charging two batteries; 4 x 0.5A when charging four). It also displays real-time charging status through the LEDs above each bay. The Xtar MC4 can even bring your over-discharged batteries back to life!